Our Physician Assistant, Justine Roberts has been a Registered Vascular Technologist for over 8 years, specializing in sclerotherapy for spider veins and varicose veins. 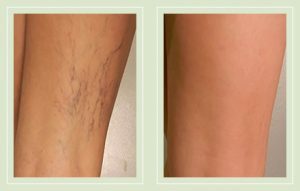 Sclerotherapy is a procedure that involves injecting a salt solution directly into the vein, causing it to collapse and disappear. Cost is $200 per session. Suffer from TMJ (temporomandibular joint disorder) ? BOTOX can help! Voluma instantly adds volume to the cheek area to correct age-related volume lossVollure is injected into the areas of facial tissue where moderate to severe facial wrinkles and folds occur, lasting up to 18 months with optimal treatment. Volbella adds volume to the lips and smooths vertical lip lines. Unlike hyaluronic acid fillers, which often dissolve within a few months, Bellafill® creates a lasting improvement in your skin. Its tiny, polymethyl methacrylate (PMMA) microspheres are suspended within a base of smooth collagen gel. Once injected, Bellafill® immediately reduces the look of smile lines. Over time, your body uses the microspheres to create a “scaffold” onto which your own collagen can develop.1,2 This collagen forms a foundation that adds volume to wrinkles, reducing their appearance. These natural-looking results feel soft and smooth through 5 years. Microdermabrasion is a noninvasive, skin resurfacing procedure that gently exfoliates or polishes away the top layer of dead skin cells, while stimulating collagen growth, to reveal healthy new skin that looks and feels smoother. 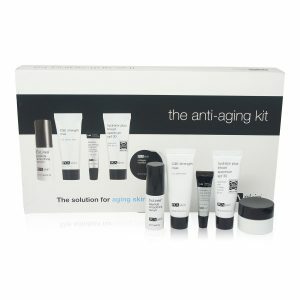 Fine lines, blemishes, dull skin and sunspots can be improved, especially with regular treatments. Also called Collagen Induction Therapy, Microneedling is a minimally invasive skin rejuvenation procedure that involves the use of a device that contains needles. The needles are used to puncture the skin to create a controlled injury. Each puncture creates a channel that triggers the body to fill the microscopic wounds by producing new collagen and elastin. 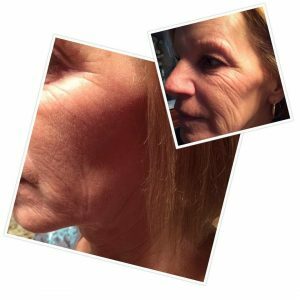 This process results in improvement in skin texture and firmness, fine lines and wrinkles, as well as a reduction in scars, pore size, and stretch marks.